A laboratory project by UK based electronic airflow control and monitor manufacturer and consultant, Temperature Electronics Ltd (TEL), is helping to save a university laboratory a projected 270MWh of energy and over £34,000 in associated energy costs per year. TEL work with one of the UK’s leading fume cupboard manufacturers, Laboratory Specialist Services Ltd, for the University of Glasgow, was part of the institution’s laboratory refurbishment project, which recently won the refurbished laboratory category of the S-Lab 2015 Awards. The international S-Lab Awards scheme recognises excellence in the design, operation and management of laboratories that has resulted in improved performance and enhanced sustainability and safety. 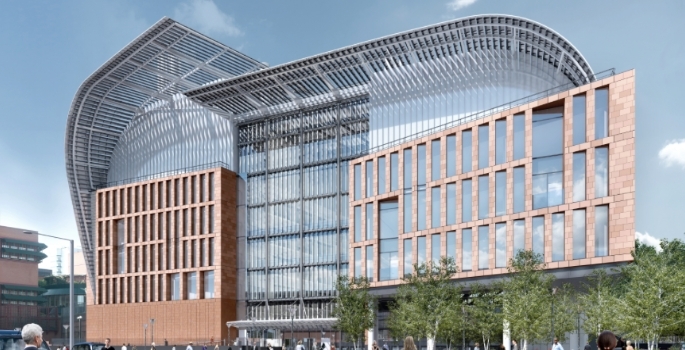 The University of Glasgow’s project involved the consolidation of its medicinal chemistry and chemical biology laboratories into a single 500m2 open plan laboratory in the Grade A-listed Joseph Black building. The new laboratory was created to facilitate collaboration between staff, while minimising energy and water use. The University of Glasgow is striving to help Scotland meet the Scottish government’s climate change target of a 42% reduction in national greenhouse gas emissions by 2020. Laboratory Specialist Services Ltd installed an innovative variable air volume (VAV) fume cupboard system, incorporating TEL’s AFA1000/E digital airflow controllers and auto sash controllers. The VAV controllers regulate airflow according to need, while the auto sash controllers automatically close the fume cupboards when not in use. 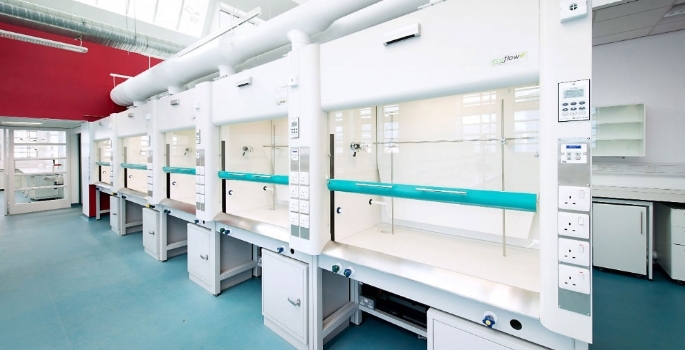 The VAV system was selected as an energy-saving alternative to a conventional constant airflow volume (CAV) fume cupboard system, whereby air is continuously sucked out of the laboratory and replaced with clean air, even when the cupboards aren’t in use. TEL projects that the new VAV system will use 270MWh less of energy and generate £34,000 less in associated energy costs per year than would a conventional CAV solution. This is the second time that a TEL project has won an S-Lab award. Last year, its work for the University of Leeds helped the institution to win the laboratory environmental improvement category. TEL was established 45 years ago, and its products are designed to enable customers to achieve energy and cost savings and a reduction in carbon emissions, while enabling them to comply with health and safety legislation. With a product range comprising CAVs, VAVs, local exhaust ventilation (LEV) monitors, auto sash controllers and volumetric controls, TEL has unrivalled expertise in the airflow control and monitoring market, and its products are used in thousands of industrial settings and laboratories across the world. TEL offers a full service provision, from design consultation, solution supply and installation, to training and technical backup.